Over the years, many of the guests on our Turkish cruises have opted to extend their vacation by a few days to visit Cappadocia, that legendary landscape in the heart of Anatolia, well known for its geological wonders and its countless historical and archaeological sites. 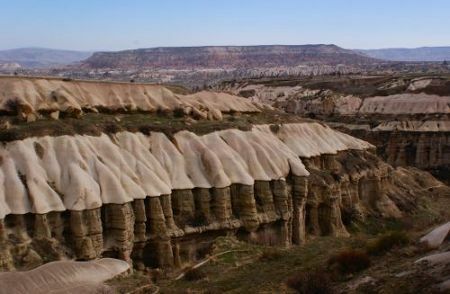 Noting their interest, we have decided to expand our Turkish portfolio by crafting a new land tour in Cappadocia. It will take place for the first time this year, from September 3rd to 8th. 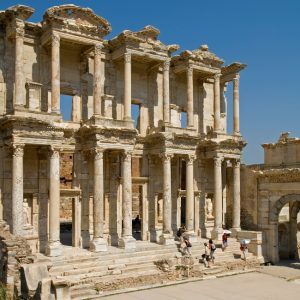 The tour will be guided by Nota Karamaouna, an Athenian archaeologist who is intimately familiar with the region, since she has travelled there frequently to undertake research for a doctorate on Cappadocia’s Byzantine monuments that she is currently completing at the École pratique des hautes études in Paris. In April, she went on a further visit to prepare the tour. 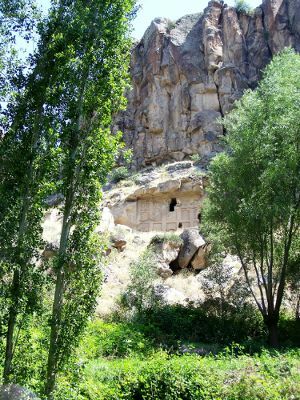 Judging from her report, she must have enjoyed a very fascinating and beautiful trip, an experience she is now getting ready to share with our guests in September.Here, you can read some of her impressions, and look at some of the amazing photographs our logistics expert, Cem Yücesoy, took in the region. Nota was evidently impressed with the luxurious and lovely hotel we have chosen as the tour’s base, and with its evocative setting amid the volcanic scenery of Uçisar an immensely picturesque village, crowned by a crumbling castle, in the very heart of Cappadocia. She also took time to arrange for another key aspect of the tour: the delicious meals of regional specialities offered in various traditional restaurants. Cappadocia is also well known for the quality of its red wines. But such necessary indulgences aside, most of her trip was spent on the main task. 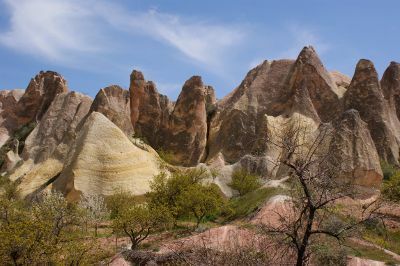 She reconnoitred different parts of Cappadocia, walked through famous volcanic valleys and explored countless archaeological and historical sites, laying the indispensable groundwork to the creation of a varied and fascinating itinerary for the September tour. 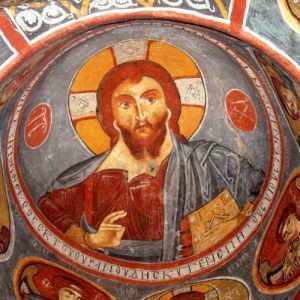 “My thoughts often return to Cappadocia, that crossroads of varied civilisations and cultures, a place where the present meets the past across a complex and enigmatic history. 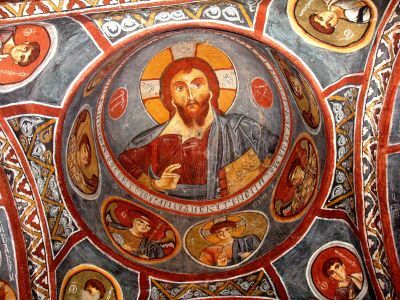 In spite of the fact that I have visited the area often, and have studied it for many years, Cappadocia remains a world apart, both mysterious and alluring. 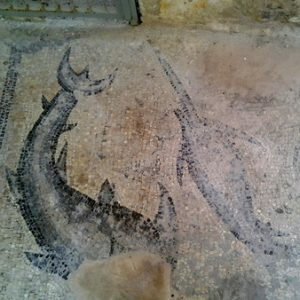 Its rich and exciting history, its ancient architecture – pagan or Christian – arouses lasting curiosity and fascination. Maybe you would like to join her on this amazing voyage through an ancient land? 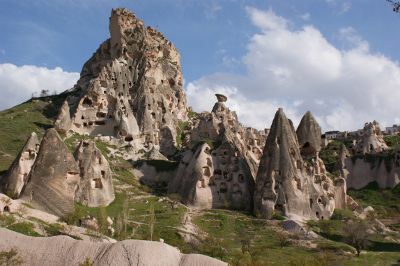 There are still places available on our Exploring Cappadocia tour.